Many people confuse supplements with vitamins, but not all supplements are vitamins (e.g. probiotics are not vitamins). So what are they exactly? Vitamins are a group of chemical compounds found in various food sources that are essential for the body’s functions. Basically, you need them to live. Take, for example, a Florida orange. 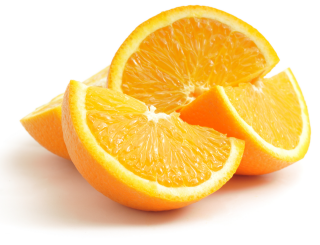 According to the USDA Nutrient Database, a raw Florida orange contains eight of the 13 essential vitamins: vitamin C, vitamin B1, vitamin B2, niacin, vitamin B6, folate, vitamin A and vitamin E.
Some vitamins are stored by your body, so you needn’t consume them every day, while others need to be replenished more often. We divide vitamins into these two groups, also known as fat-soluble vitamins and water-soluble vitamins. Fat-soluble: Vitamins A, D, E and K can be stored in the body and are not normally excreted. Since the fat-soluble vitamins are stored in the body, extremely large doses over a prolonged period may be harmful. Water-soluble: The B vitamins and vitamin C are not stored in the body in appreciable amounts; these are excreted. Thus, a daily supply is required to avoid depletion and interruption of normal physiologic functions. If you feel like you need to fill some gaps in your diet with a multivitamin, look for a trusted brand that provides close to 100% of the RDA of most of the 13 vitamins essential for good health, like Geritol® multivitamin. Nutrient data for 09203, Oranges, raw, Florida. USDA. National Nutrient Database for Standard Reference, Release 25. Retrieved from: http://ndb.nal.usda.gov/ndb/foods/show/2303?fg=&man=&lfacet=&format=&count=&max=25&offset=&sort=&qlookup=orange February 12, 2013.